According to the “National Mortgage Professional Magazine” online, studies show home-buyers are now placing a strong emphasis on going green in their homes. 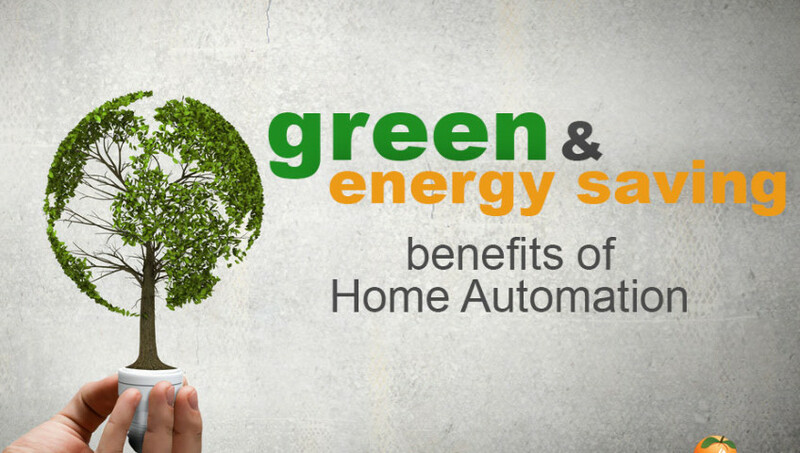 One of the best ways to “go green” is home automation. Homeowners are turning to clean technology solutions, and the savings are reportedly going to the top of their list when shopping for a new home. Another survey from the American Institute of Architects determined that consumers want to make saving money through energy automation a significant focus. Not only does it save them money, it also saves energy and helps them cut back on their carbon footprint. Home automation systems are basically a computerized system used to run such things in your home as electricity, security systems, lighting, temperature, entertainment systems, window blinds and draperies and water sprinklers. The ability to create a home automation system to handle all these capabilities interchangeably is done with what’s called various subsystems, which allow you to set your own automation according to your own personal individualized wants or needs. Home automation systems may once have been a high-end extravagance for the more expensive homes, but in fact their existence is becoming more and more mainstream and accessible to the average middle class due to the extent of the energy savings and efficiency they provide – this energy savings often outranks the expense required to purchasing and installing the home automation system. For example, the EH network.com reported recently that one of the most popular and practical automation must-haves is an architectural lighting system that allows all light sources – inside and outside the home – to be dimmed and brightened and set on timers in order to achieve the best energy savings, provide visual appeal, set the mood for certain occasions and most important likely better secure the home. Home automation systems give the homeowner a significant amount of peace of mind they would not normally receive. Home automation brings convenience and a certain measure of peace of mind to homeowners. From within the house or even from afar, by simply using your smartphone, for example, you can check and control the lights and thermostats, receive water-leak alerts, check if your garage door is closed, or find out when the wash is done if you are not in earshot of the chime. You can open the garage door, automatically turn on house lights and deactivate the security system. You can unlock the front door and have house lights turn on automatically, or simply tap the door lock to unlock if your hands are full of groceries. Now that home automation is becoming more mainstream, the prices for them are lowering significantly. Some now consider these home automation systems a necessity and no longer just a perk. According to an article dated 22 September 2015 on Metering and Smart Energy International.com, location is just one of the main items people consider when looking for a new home. Some requirements people “must have” often include 24×7 surveillance, biometric scans for entrance, door sensors, temperature sensors and smart appliances, among others. by installing an alarm & home automation system! CallOrange is currently offering FREE Home Alarm & Automation System with FREE installation* throughout the Phoenix Metro and Maricopa County area! We also offer low month monitoring at only $29.99 per month with NO annual contract! This is a limited time offer and other restrictions and fees may apply so contact us now! Click HERE for more information.